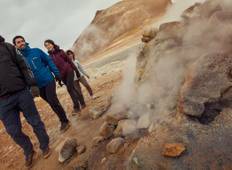 Discover amazing tours through Laugavegur visiting places like Reykjavik and Thorsmork. 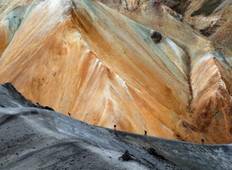 Most travellers enjoy exploring our Laugavegur trips in July, making it the most popular time of the year. "Our guide was excellent. We really enjoyed her company during the trek. Well organised..."
"If you like hiking, you will absolutely love this trip! It was the best hike I've..."
"Just completed the six-day backpacking trip. One of the most physically demanding..."
"I spent four days with the hugest grin from ear to ear. This tour was fantastic,..."
"Traveling with Carpe Mundo is one of the best decisions I've ever made! I went on..."